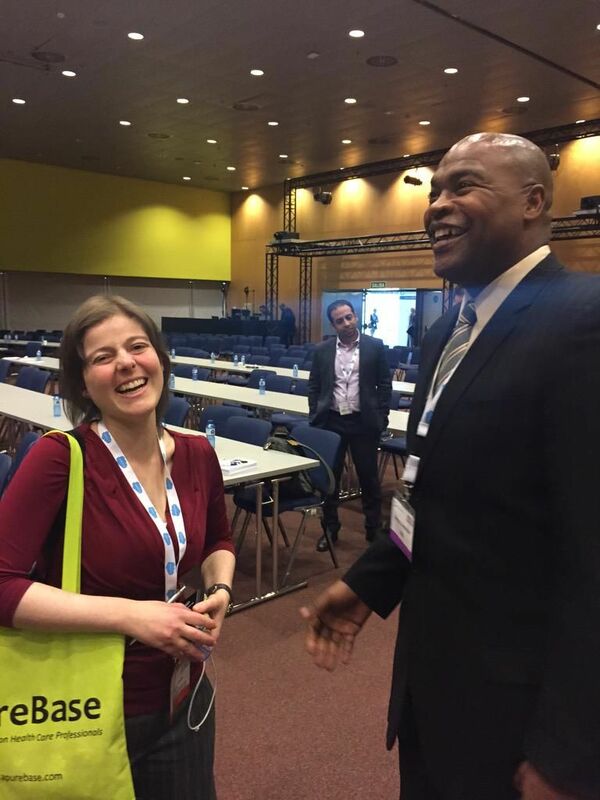 Can pharma and patients talk to each other? It’s a must! As of for me, as I said in the closing keynote of EyeForPharma2015, being able to be there has meant a complete change that I hope I can spread all across both pharma and patient communities. As many of you know, I have been tweeting in Spanish and English from day zero. At the beginning it felt so wrong for me to mention the speaker and the pharma company who was talking! I felt like if I was going «into the dark side»… I felt afraid of patients getting angry at me and judging me for having «sold my soul» to «the enemy». But that was at the beginning!! Because very soon I started feeling comfortable enough and talking about whoever I wanted regardless what other people may think about me. The fact of having a relationship with pharma does not mean I am a bad person or that I am pursuing any «dark» goal… It only means I want to help them help all of us!! Pharma, alike us patients and patient associations, make mistakes. Absolutely everything in this world can be improved and that is why we must collaborate: because they see things we may not see and vice versa. If there is something I have learnt at #e4pbarca is that there is nothing wrong about talking to pharma. All of us are people and, as you can see, there is nothing to be afraid of. Talking to patients? Yes you must!!! Talking to pharma? Yes you can!!! Yes! Why not talk and collaborate? No-one but patients and caregivers now best how living with an illness is and what we can do to make our lives easier (and happier and healthier as a result!). We talk about money? Good! We may have very good ideas on how to save money to the health system so that treatment access is easier for everyone everywhere. Maybe if we had been asked ages ago about this issue we had said: «the e-prescription would save a lot of money. Most of the times I only go to the GP to get them…». I cannot imagine how much time (and work) I have saved to my GP thanks to the e-prescription!!!! Treatment is not only taking a pill (or 20!). I am healthier and loaddddds happier (and healthier and so on like a good vice circle) because I have good quality information about my illness and I know I am not alone because there are many patients that know what it feels like to live with a chronic disease. When writing about how it feels to live with depression and the fear of not being able to work again or be a mum I find that I help other people. Isolation is something we need to treat. Lack of information is something we do need to treat! And that is a field where pharma can do so much! Does pharma know what kind of information patients need? Do they know what patients need? 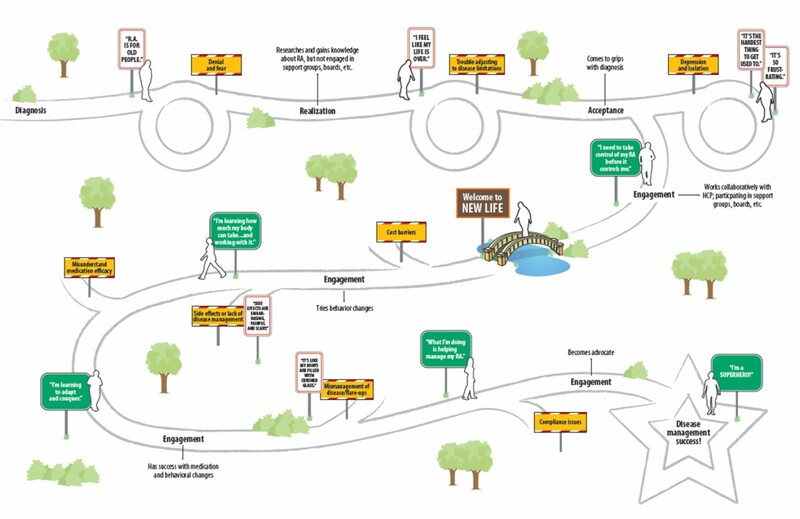 Does pharma know how to engage with patients? Does pharma know what they can do to stop being «the bad guys»? We do know!!! And we are so willing to step in and help out! Andrew Schorr, from Patients Power, pointed out something really interesting and real: a patient’s (and caregiver) journey is long and has very different stages. I don’t need the same kind of information (and support) at the age of 14 and now that I would like to become a mum. I could carry on with this for ages, hehe :p.
Real empowered and educated patients should be seen as a valuable asset. Because we are! We are not here to criticize and demand. We are here to help you help us. What have I talked about with pharma guys? Not about treatments. Not at all!!! As an empowered patient I talk about my treatments with my physician. That is what we all should always do  . Patient information and support tools. Caregivers information and support tools. 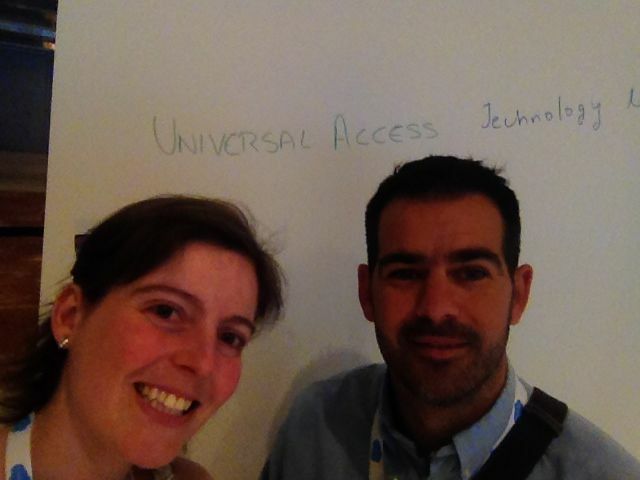 eHealth, gamification and (even more!) educational tools and resources. Make people more confident about going into clinical trials and actually knowing what it is all about. Being able to talk about the way many patients and caregivers are socially and psychologically affected by illness in front of so many no-patients has been… I cannot find the words to describe it!!!  And I really hope all of us have make a positive impact in #e4pbarca. It shocked me to see that most of the speakers shared the same view: compliance and regulatory issues is a big barrier that pharma encounters when it comes to talking with patients. Not that it’s the only one, but it’s a tricky one. «Can patients do anything 2 help take compliance barriers down so that pharma can talk with them?»-Yes! The answer is YES and this is where patient associations must jump in… But not independently, pleaseeeeeee. Together we are stronger and, in the same way patients are asking pharma to collaborate, I am asking patients associations to collaborate as well. We could get so much further!! In fact, that was another thing that was said in the event that shocked me: pharma is also asking patients to work together. The actual wording was «integration». Patients organizations need to be integrated to be stronger. What are the core values for patient centricity? 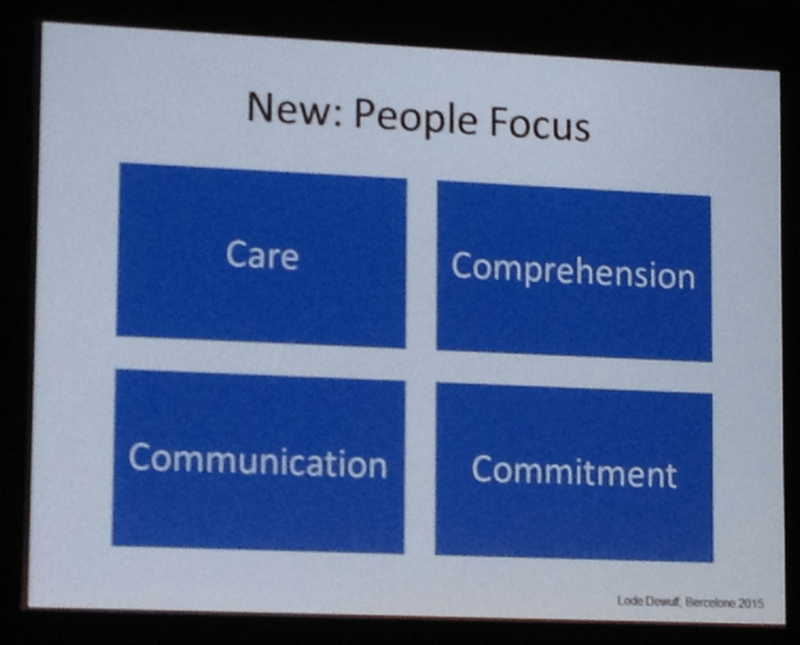 And what I wonder is… Are patients association and pharma working together to see how they can get those core values? Are we, patients, asking ourselves and pharma how can we help get that? So… What do patients ask from pharma? This was the question from #e4pbarca and these were all the answers. Most of them talked about communication, technology, seeing the person and not the illness and collaboration. We really went crazy writing stuff here. I have to admit you only have to give me a writing tool and there I go!!! (Well, you are seeing it now, haha). Before #e4pbarca started I launched the question to the patients. All of them said the same, which Mike and I put up in the wall: universal access to treatment and be brave to break the barriers we have. I would like to thank EyeForPharma for including the patients in this event and I really hope others learn from this great experience and call us in for many events and projects. Thanks to Tania Caballé for calling us in and for putting the focus in the patient voice and not individual patient associations. As much as I know they are key in society and I actually am part of several of them as volunteer (which I reeeeally am prod of), I truly believe patients association also need to collaborate between each other and put the patient in the centre (I am going to be killed for saying this but it is what I think!). If I had gone as an association I would have talk only about «my» patients’ need. As a patient I talk about all chronic conditions. No matter the name, we have loads of things, feelings and life limitations and dreams that are the same. Thanks to Blair, Paul Simms and all EyeForPharma team for making us feel comfortable, for thinking about our needs and being so kind. Jill, Lode, Danielle, Marqus… Oh so many! Amazing. Simply amazing. I am so grateful to have been able to have a chat with all of the ones I have not mentioned: UCB, Leo Pharma, Sanofi, Astra Zeneca, Novartis, Telefónica, Bayer… Gosh, so many again!  Thanks to you all for being so refreshing and open minded. For getting close to the patient and working towards patient centricity and share your experience and knowledge so that others follow your lead! (If I forgot someone, please let me know!!!). 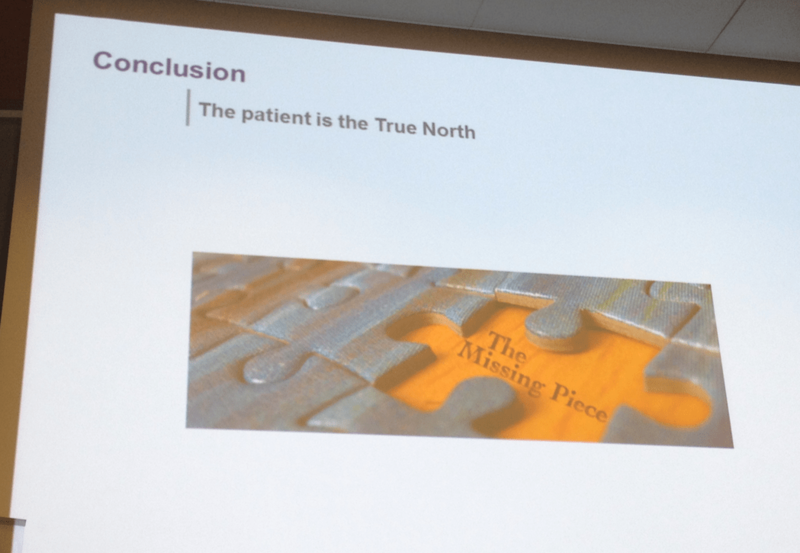 What if patients are the missing piece in the puzzle? As a thank you present I would like to share this video with you all. Someone at the event said that pharmas do good things and that they should be able to tell beautiful stories… And that is right. That is why I want to share this with you: a video that was recorded at our last lupus patient gathering in 2014 in Palma de Mallorca. Even though many people like me cannot work and are quite limited, there are also times when we get better and can… dance sevillanas!!  And doing so is something beautiful that we get, partly, thanks to the great job you all guys do everyday. I hope our joy gives you wings in the same way these little moments give us strength to carry on and keep enjoying little things in life. Our life may be not as easy as we wished, but the research and the job you do everyday make it possible for people like María and me to be able not only to dance sevillanas the days we feel better (which is not always) but also to have hope because there are treatments that can make us feel better. And as for those patients who live with rare diseases or live in countries where all these treatment don’t reach out to… I really hope we can do something so that everyone can dance sevillanas at least from time to time. – Spanish article (not the same content, but similar). – «Dear Patient, Come to the «Dark Side» & Engage with Pharma«, by @pharmaguy. – «Je suis un patient«. 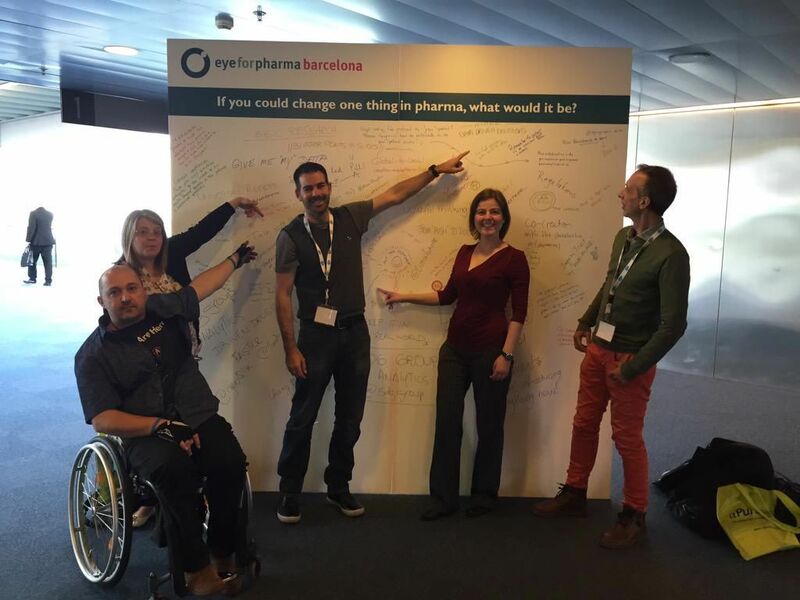 – «What do patients want from pharma?«- Patient Empowerment Network. Andrew Schorr interviews Mike, Nuria & Juan (English with Spanish subtitles). EyeForPharma: «An empowered Lupus patient» (English). EyeForPharma: «Una paciente de Lupus empoderada» (Español). Esta entrada fue publicada en Health events reports y etiquetada Events,EyeForPharma por Nuria. Guarda el permalink. Great post Nuria! I have to say I am still elated with the progress we have made toward patient centricity – that was clear in the energy, attitude and content of this year’s conference! Looking forward to staying in touch! It was such a good and enriching experience for me!! And meeting you guys was incredible because it is a way of letting people see the person «behind the scene» and the human beings. Just cannot describe it! Of course, as a patient, I am a bit sceptic about all this patient centricity movement in pharma, but I can see some changes at the moment and I love being part of some of them. In that way I can tell the world and that’s something I simply love. Very nice blog post. Thanks for linking to my blog. I’d like to have you as a guest on my BlogTalkRadio podcast show to discuss how patients can work with pharma. Thanks to you for such an original post. Loved it!!! Laughed so much!!! And I think that’s key when both engaging and living with a chronic illness :-).